Facebook Lead Ads – What / Why / How? When I’ve previously been asked about the future of Facebook advertising, my answer has always been focussed on the user experience. Facebook’s main focus is on keeping their users happy and keeping them on Facebook. So when the brand new – much discussed – lead ads were introduced earlier this week, I can’t say that I was surprised. Now, this may potentially be the biggest thing to happen to Facebook advertising for a long time. I say “potentially” – because it’s very early days and I’m not going to jump on the bandwagon. I’m currently testing these new features and I’m going to report back my results soon – so keep an eye out for them. 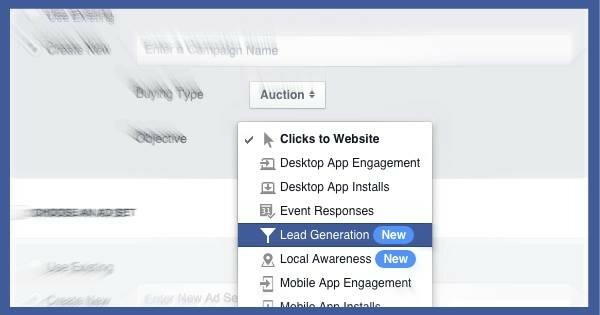 So, what are Facebook Leads Ads? Well, it’s a new form of Facebook advertising that is open to all marketers. 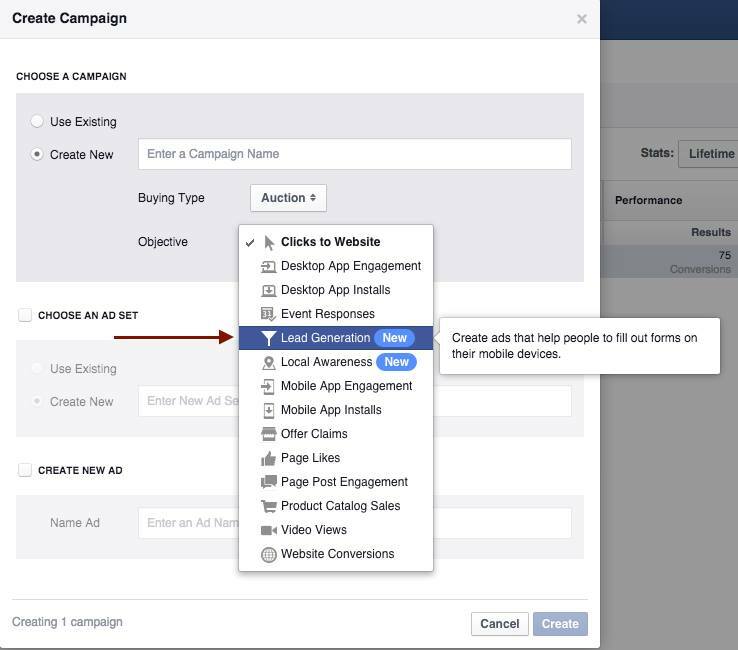 Facebook lead ads allow you to generate leads without the user having to leave Facebook. 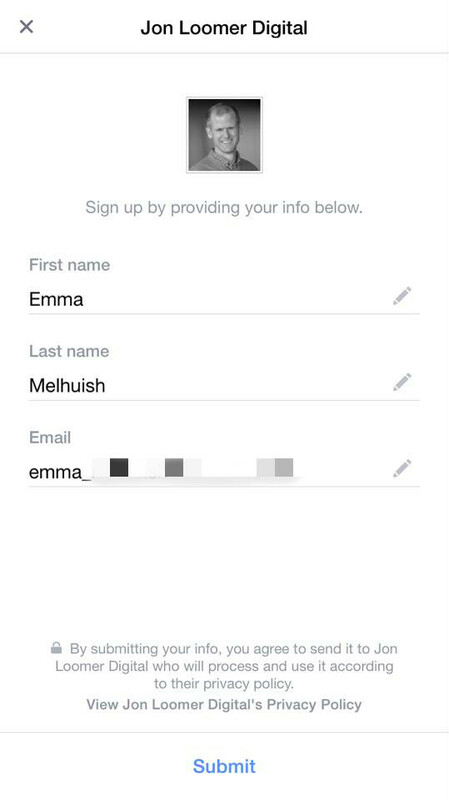 Rather than having to drive the user to a landing page to get them to op-in, they can simply sign-up through Facebook through automatically pre-filled forms with their Facebook user data. The user can give you their personal details and essentially opt-in in just two clicks … and they don’t even leave Facebook. As advertisers, this is beautiful, as it’s just got much easier for people to join your list. On paper, conversions/number of opt-ins should drastically increase. Well, let’s begin by looking at the process from the users point of view. You’ll see how easy this is and potentially how much of a game-changer this can be. 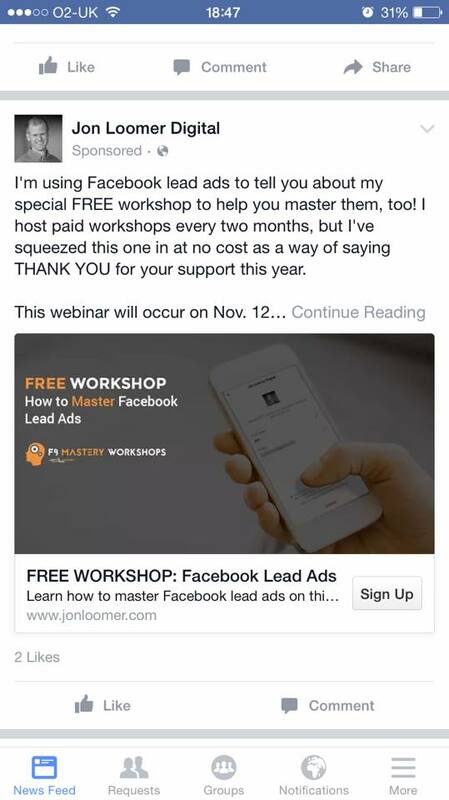 So, below you’ll see a Facebook advert from Jon Loomer. At this stage, it looks completely the same as any standard Facebook advert. But when I click the ‘sign up’ button in the bottom right corner, rather than it directing me away from Facebook to Jon’s landing page. Instead, it takes me to this little nifty form. As you can see, it pre-populates my Facebook user information. My name and email address. Although, Jon could have asked for much more information including things like Job Title and Post Code (which would all be pre-populated). Once I click confirm, I’m opted-in and returned to Facebook. How does it work from the advertisers point of view? Okay, now there are a couple of things you should know before we begin. These new lead ads currently only work on Mobile and can only be set up through Power Editor. But they’re really easy to set up. You can’t miss it; it has a big ‘NEW’ tag next to it. Your campaign and adverts will then start offering users the option to opt-in through Facebook. But how do you integrate the opt-ins into your CRM? How do you get the people that fill in the form onto your list? Well – this is slightly more difficult. So, you need to go to your Facebook Business page. At the top, select the option of Publishing Tools and then select Forms Library. Here you’ll be able to see the list of leads that have opted-in through the lead ads. The annoying this is, you’ll have to manually transfer the leads over to your CRM, which means that your prospects won’t get instant access to your report/video/lead-bait. There are tools available that automate this process, which link with your CRM to instantly drop your leads in. I’m testing this though – so wait till you hear back from my tests before making any commitments. It’s going to be bug-heavy to begin with, no doubt. So keep an eye out for updates. This is very exciting – there’s no doubt about it – but it’s also a big shiny new thing. Before I give myself permission to get too excited, I’m very carefully testing and tracking the new adverts. I’d recommend that you have a play with them, but keep a close eye on my emails/blog posts for updates because as soon as I have come to a conclusion on the best methods … I’ll be in touch.